Jinna Rabb Ditta Lyrics by Virasat Sandhu is brand new Punjabi song sung by him and composed by Sukh Brar. 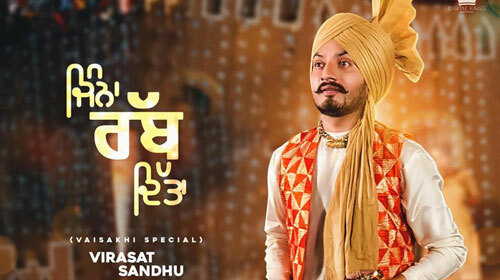 Its lyrics are written by Zaildar Pargat Singh and song is released by VS Records. If you find any mistake in lyrics of JINNA RABB DITTA LYRICS – Virasat Sandhu song please let us know in comments.